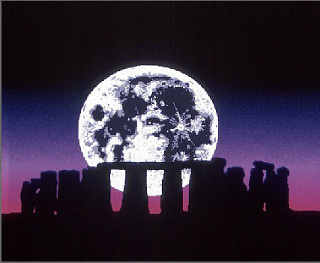 green energy | Views of an atheist techno-pagan. Soundscraper – energy from noise. No, I’m not drunk. 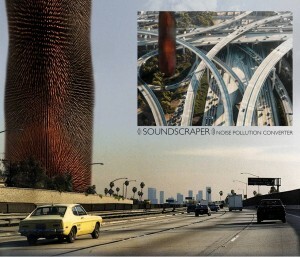 A soundscraper is a serious thing in the race towards clean energy. An entry in the 2013 eVolo Skyscraper Competition, the Soundscrapers would be constructed near major motorways and railroad junctions, prime locations for capturing ambient vibrations. A sound-sucking material would cover the exterior of the tower with a double-skin layer, held away from the façade on a metallic frame. For each Soundscraper, 84,000 electro-active lashes would cover the metal frame and pick up noise from cars, trains, pedestrians and passing planes. Each of the lashes is armed with sound sensors called Parametric Frequency Increased Generators. Once the noise is picked up, an energy harvester converts the vibrations to kinetic energy. Transducer cells then convert the energy to electricity, which is stored or distributed to the grid for regular electric use.